For flights of fashion fancy then there are few better than Alexander McQueen. Everything is out of the reach of 99% of us however that doesn’t mean to say there’s isn’t at least something we can translate into our own wardrobes from each collection, and for me it’s the rose motif throughout the SS19 Ready to Wear collection. 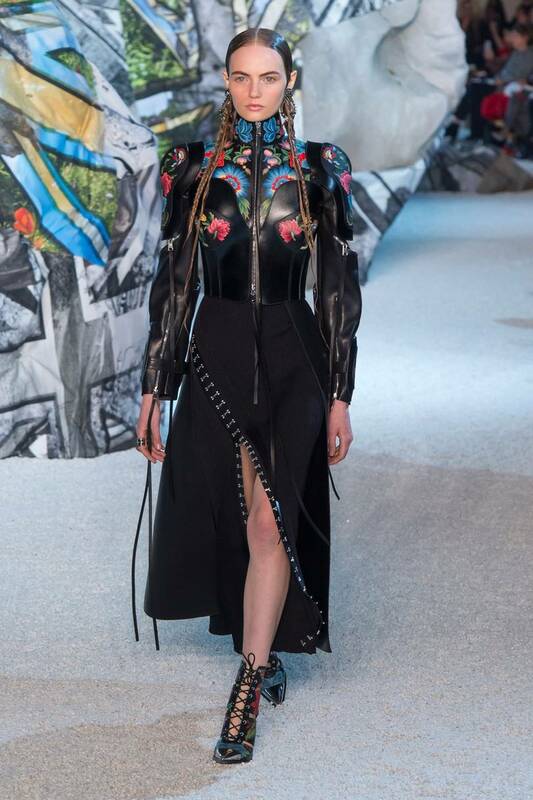 Roses are used heavily throughout this collection, from the actual flower to the various colours of roses, presented in the slightly subversive way the couture house is known for, with leather and harness details. My favourite flower combined with my favourite accessory. What’s not to love? I know summer isn’t exactly just around the corner however I did happen to buy a red chiffon Kooples dress recently with tiny red roses all over it. I must have had this collection in mind when I bought it. Naturally I will be wearing it with my hardest accessories. I couldn’t not mentioned the shoes. 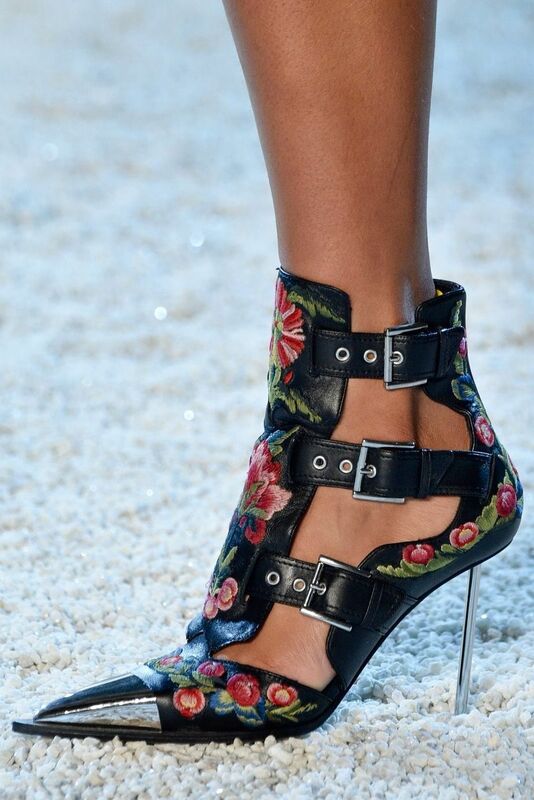 These pointy toed, pointy heeled, strappy buckles ankles boots are EVERYTHING!